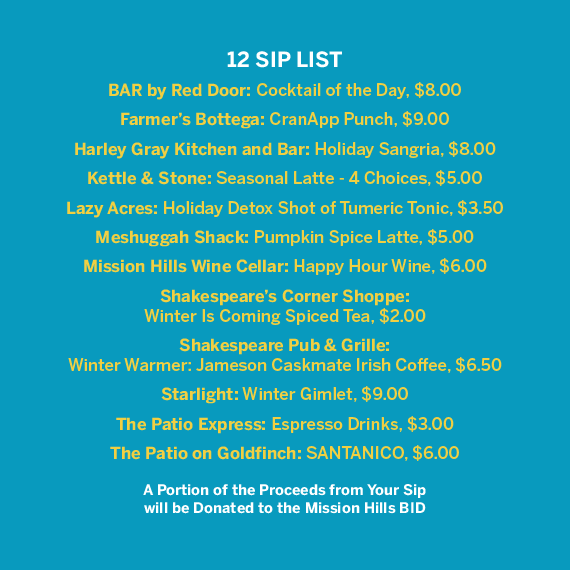 Kick off your holiday shopping at “Sip & Shop Mission Hills” where the neighborhood will be celebrating Small Business Saturday. Stop by the 4010 Goldfinch Street parking lot to pick up our FREE fun-filled shopping bag. Grab the “Sip List” as your guide to the day’s 12 Sip offerings locations and times. Your Sip Guide will consist of 12 souvenir coasters plus a first coaster with a list of the 12 Sip names and prices on the back. Hop on board a FREE Trolley. Sip, Shop, Savor. Discover what the talk is all about. 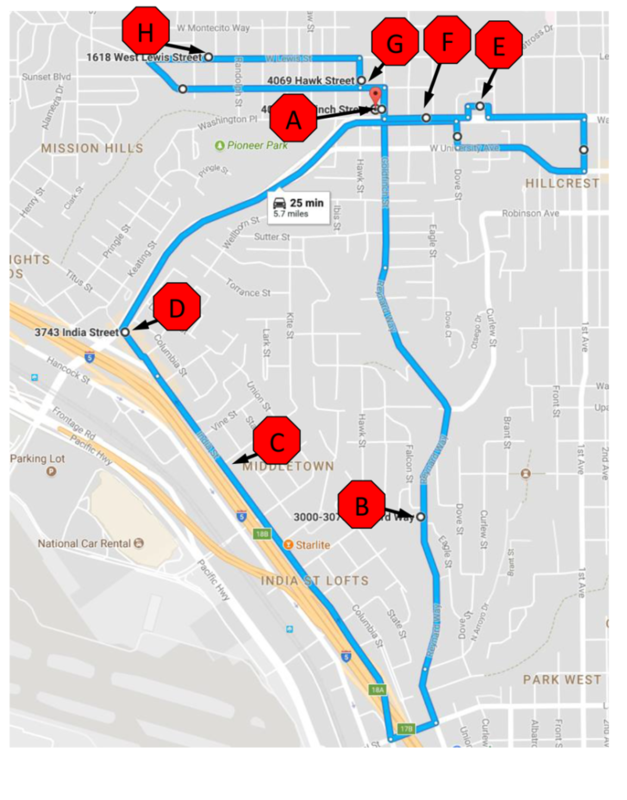 Location: Throughout Mission Hills including West Washington Street, Goldfinch Street, Ft. Stockton Drive, West Lewis Street, Reynard Way, and India Street. Sip Times: Hours vary. Your Sip List Guide will include participating venue hours. 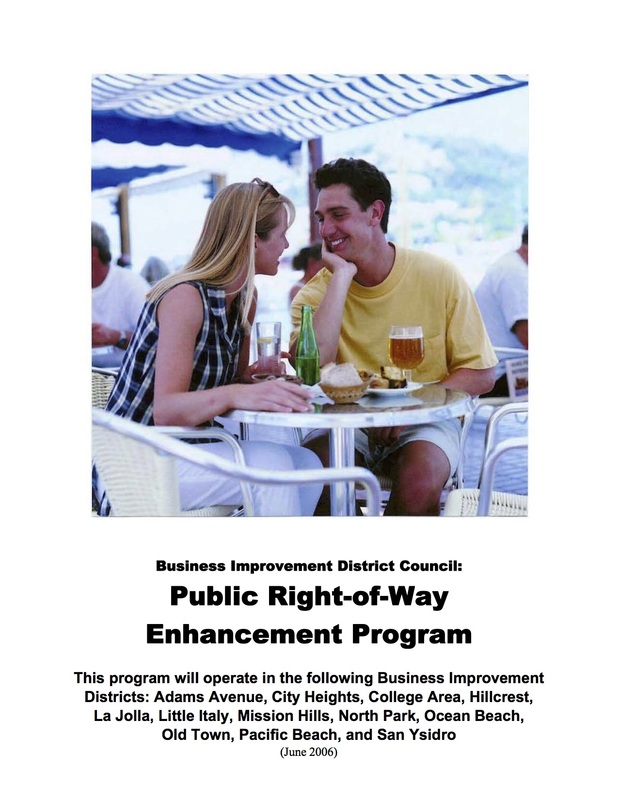 A portion of the proceeds from your sip will be donated to the Mission Hills Business Improvement District. A limited quantity of Sip Guides are available. 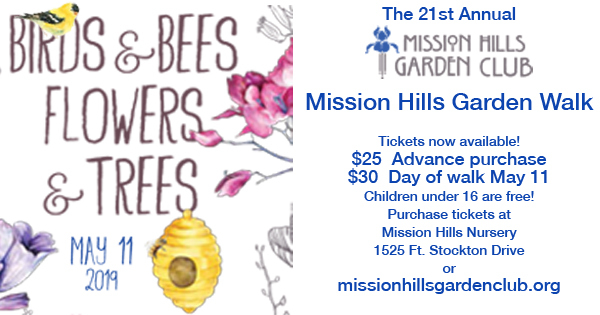 The Sip & Shop event will be offered FREE and in the form of souvenir coasters that entitle participants to discounted drink specials throughout Mission Hills! Sip Guides claimed through Brown Paper Tickets must be picked up on the day-of the event at the 4010 Goldfinch Street parking lot. On Small Business Saturday, November 25, Sip & Shop event guides and Shop Small shopping bags will be given away in the parking lot at Canale Communication, 4010 Golfinch St, beginning at 11:00 AM. First come, first served! And, on November 25, to help celebrate the Sip & Shop event, FREE Old Town Trolley service will be provided along India Street, West Washington Street, Reynard Way, Goldfinch Street, Fort Stockton Drive, and West Lewis Street. Small Business Saturday on November 25 kicks off the holiday shopping season in Mission Hills! Small businesses are the backbone of our local economy. They add unique character and enliven our neighborhood. 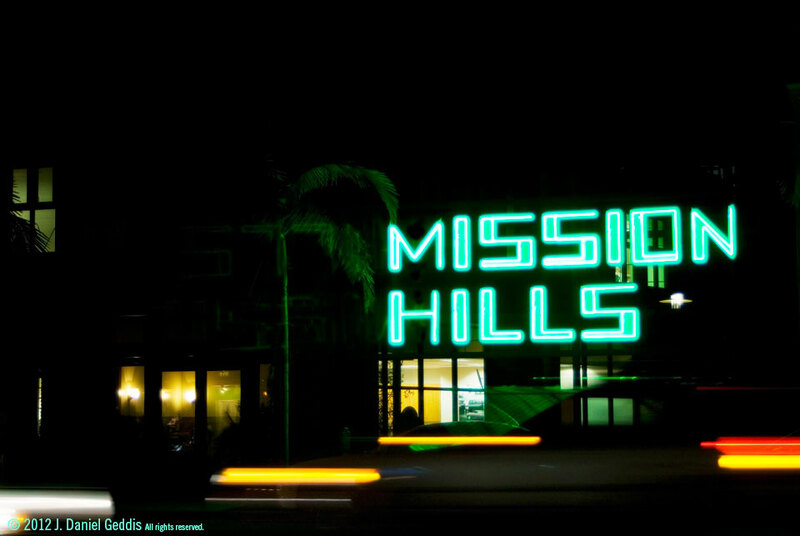 Please support Mission Hills’ small businesses by shopping locally.